This past weekend brought about some gorgeous weather in Chicagoland. I won’t get into what the temperature is outside right now. In any case, the warm weather got me wanting to make something that felt like spring. 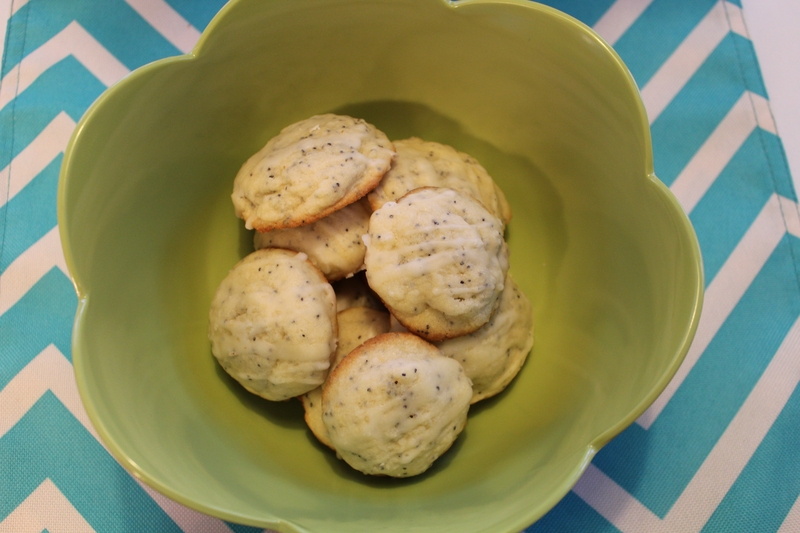 I decided on these lemon poppyseed cookies. Start by creaming together the butter and sugar. Once the mixture looks fluffy add the wet ingredients (egg, zest, juice, and extract). Mix together the dry ingredients (flour, baking soda, salt) in a separate bowl and then add the contents of the bowl into the butter mixture. Mix for a minute or so, just until combined. Finally, add the poppy seeds and mix them throughout. I used my tablespoon-sized cookie scoop to drop the dough onto silicone pad-lined baking sheets. Bake for 5 minutes on one side, turn the pan, then bake for another 4-5 minutes. Let the cookies sit on the pan when they come out of the oven for about 5 minutes, then transfer them to a cooling rack. Once the cookies are fully cooled, mix together one cup of powdered sugar and 2 tablespoons of lemon juice to form a glaze. You can either drizzle the glaze on top the cookies like I did or dip each cookie top into the glaze itself. I didn’t have any zest left or I would have sprinkled some on top of each cookie before the glaze hardened. I brought these to a gathering and they were a hit. Light, refreshing, and a great way to kick off springtime.